ODEON – the UK & Ireland’s leading cinema chain – has today announced it will be setting the pace of luxury cinema experience for British film fans for years to come, by bringing Europe’s first ODEON Luxe cinema to East Kilbride, officially launching on October 12th. The cinema will become fully-reclining, with ODEON unveiling 652 luxurious handmade leather reclining seats across nine upgraded screens, with increased leg room and personal space for guests, as well as retractable tray tables and a host of new food and drink options to ensure ultimate comfort. Cinema goers will also experience an overhaul of the technology in the cinema to deliver an outstanding viewing experience. 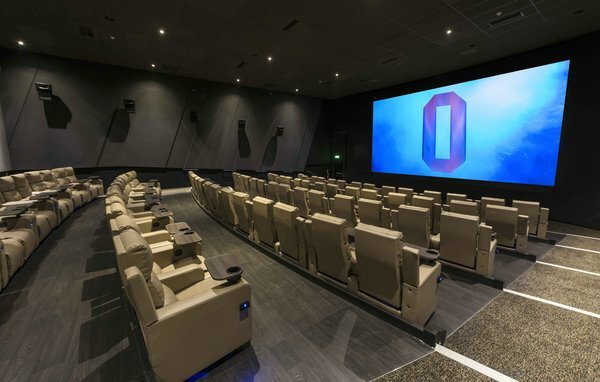 The cinema will now boast a state-of-the-art, 104-seat ISENSE screen with 4K projection and cutting-edge Dolby ATMOS sound delivered by 51 brand new speakers, providing a truly immersive, ultra-high-definition cinema experience. Film fans can enjoy breath-taking sound delivered by 185 new speakers across all auditoriums, with all standard screens now packing Dolby 7.1 Surround Sound and improved picture quality through enlarged screens throughout. The improvements to the cinema come ahead of an exciting release schedule of new films, including action sequel Blade Runner 2049 (October 6th), family adventure The LEGO Ninjago Movie (October 13th) and upcoming Marvel blockbuster Thor: Ragnarok (October 24th). Guests of the cinema can now choose from a range of food including freshly-popped popcorn, nachos, fries and hot dogs, as well as drink options including a Coke Freestyle machine with over 100 different flavours to enjoy, self-service Tango Ice Blast machines and a new Oscar’s drinks point serving a selection of alcoholic beverages. 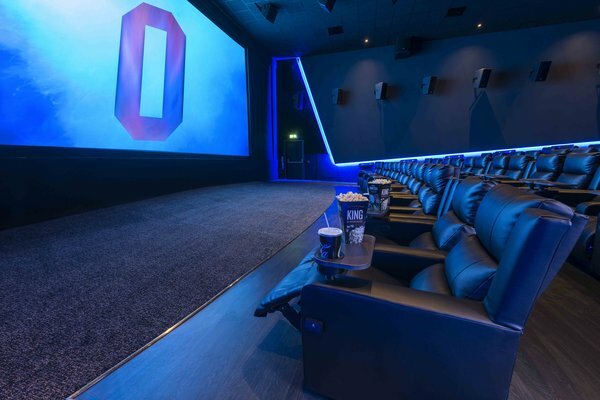 In addition to the range of retail options, guests can also enjoy a range of promotions and discounted screenings including ODEON Kids, ODEON Newbies, ODEON Silver Cinema & ODEON Screen Unseen – as well as being able to take advantage of ODEON’s Limitless cards and ODEON Première Club loyalty scheme. With more than 120 cinemas, over 960 screens and 87 years of cinema experience, ODEON is the leading cinema exhibitor across the UK & Ireland. ODEON prides itself in being the destination of choice for film lovers, with an ongoing commitment to investing in cutting edge technology and comfort which create the ultimate cinema experience – from luxury seats, to immersive IMAX and ISENSE screens with premium sight and sound, impeccable guest service and unique opportunities to watch screenings of 70mm prints at select sites. With more than 5,700 colleagues employed across the UK & Ireland, ODEON has been placed number 25 in the Sunday Times 30 Best Big Companies to Work For 2017 and in the top 20 of Ireland’s Great Places to Work 2017. ODEON is part of ODEON Cinemas Group, Europe's largest cinema operator, which hosts over 115m guests each year in more than 360 cinemas across 14 European countries. In 2016, ODEON Cinemas Group was acquired by AMC Theatres, creating the largest movie exhibition company in the world with over 1,000 theatres and 11,000 screens globally.